Let’s get real: hiring a sleep consultant can be expensive. While I personally believe a good sleep consultant (one who knows high need babies) is worth every penny, I know not everyone can swing it financially. This is when do-it-yourself (DIY) sleep training methods are so helpful. First off, let me just say that not everyone needs to use sleep training (or sleep learning, as I prefer to call it). There are plenty of articles out there that talk about “normal baby sleep”, and what you can realistically expect developmentally. For instance, expecting a 3 month old baby to sleep 12 hours straight isn’t necessarily realistic and shouldn’t be the “gold standard” for infant sleep…although it can certainly happen. Are my expectations realistic given my baby’s age? What amount of crying is acceptable to me? What are the risks and benefits for both my child and myself? If you and your child are happy with your current arrangement, there may be no reason to change things. Do I feel comfortable with the strategy I’ve chosen? If the answer is no, you’ll have a very difficult time sticking to your plan. But once you’ve decided it’s time to educate yourself about infant sleep and get your baby into a good sleep routine, it may be time to try a DIY sleep training program. As I’m sure you’ve noticed, most sleep training books and programs don’t explicitly talk about high need babies. This may have left you with the assumption that it’s because sleep training doesn’t work for our intense, sensitive, persistent babies. Fortunately, this isn’t the case. While I’m not saying it will work 100% of the time (particularly if there are other issues going on, like reflux or sensory issues), I have seen it work often enough that I can say it does work most of the time. An important note on DIY sleep training: If you’ve consistently tried a variety of strategies with little to no success, I would not recommend using the DIY strategies below. In this case, I would definitely recommend hiring a sleep coach who has extensive experience working with high need babies. The ones I recommend offer free consultations so you can decide if it’s a good fit. (If you’d like some recommendations, email me). However, if hiring a consultant isn’t in the cards for you, the DIY programs below are the next best thing. Each of these programs have been recommended by our parents…yes, parents of high need babies!! This 198-page program, available in pdf format, is one I have read cover and cover and wholeheartedly recommend. I have worked alongside parents who have used this program both with great success, and with moderate success (one mom got her baby sleeping ‘through’ the night, but continued to struggle with naps). The guide walks you step-by-step through a sleep strategy specific for your child’s age (0-3 months, 3 months-1 year, 1 year+). Please note: for babies 0-3, she goes into detail about establishing good habits, what to do if your baby has his/her days and nights mixed, up. It doesn’t seem to me that she recommends using any ‘crying’ techniques at this age. For older babies and toddlers, Dana gives step-by-step instructions for carrying out your own sleep training. She gives various options depending your parenting style and what you’re comfortable with. For instance, there is a ‘Stay in the room’ method where you stay with your child and comfort him/her as needed, as well as a ‘Leave and check method‘. 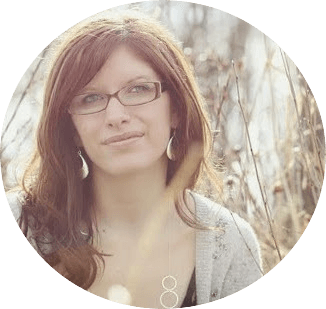 She outlines exactly what you can expect during the process, and what to do when things don’t go as planned (for instance, when your baby wakes in the night…do you feed or not?). What I like about the Sleep Sense program: I like that it’s been around for years and is written by a well-known, experienced sleep consultant. To be honest, I’m wary of sleep coaches until I’ve gotten to know them and have seen actual results! The program is easy to read and implement, and I like that you can read it as you have time before jumping in to the process. 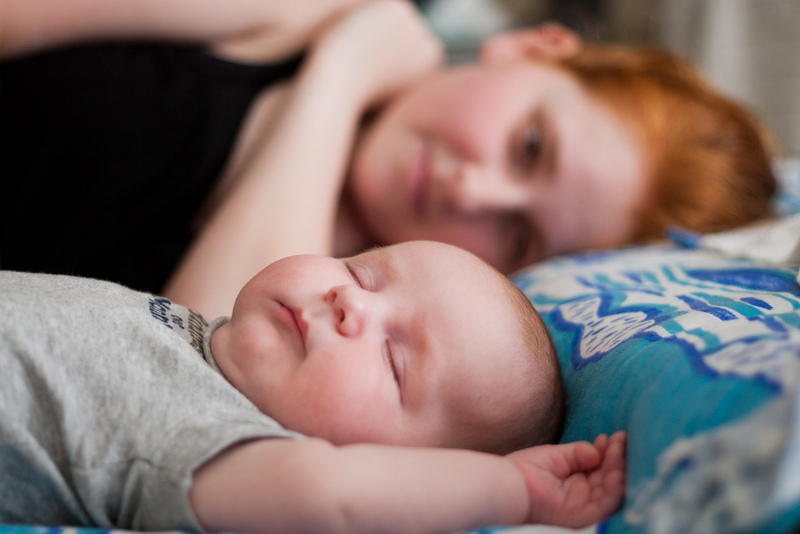 What I don’t like about the Sleep Sense program: If you have a colicky or high need newborn, the first few months can be a blur. The section geared towards 0-3 month olds talks about avoiding ‘sleep props’ like soothers, car seats and swings. In my experience, using these ‘props’ may be the only way to get a colicky newborn to sleep…and I’m all for getting sleep any way you can! I’m also not a fan of the sales page, which can be a bit garish and overwhelming – especially when you’re functioning on little sleep! Cost: $29 for the basic program (this may be all you need) up to $129 for the program, videos as well as personalized email help. Money-back guarantee? Yes, within 12 months of purchase. The Baby Sleep Site has been around a long time, and has helped thousands of families through their sleep consulting services. The founder of the site, Nicole Johnson, had a high need baby herself…so she knows firsthand how sleep and high need babies don’t seem to mix. An added benefit is that if you decide later to invest in a customized sleep plan, you receive a 20% discount. This means you can try it out on your own first, and upgrade to a personalized plan later if you need to. 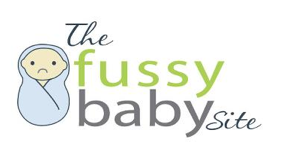 What I like about The Baby Sleep Site Members Area: If you know you want to sleep train and just need some extra knowledge, structure and peer support, this is a great option. They also cover more specialized topics like sleep training with multiples and no-cry sleep training methods. I also like that they offer sleep training tutorials and sleep plans you can customize based on your own goals and preferences. What I don’t like about The Baby Sleep Site Members Area: If you already know a lot about sleep training, you may find some of the content redundant. There also doesn’t seem to be material specifically related to high need babies and sleep. Cost: Ranges from a 2-month membership for $27, up to $77 for a 12-month membership. As mentioned above, one of the frustrating aspects of many DIY sleep training resources is that they don’t specifically cover high need babies. What can I expect when sleep training a high need baby? How long does it typically take for them to ‘get it’? This eBook answers these questions and more. 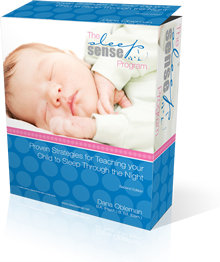 It does NOT lay out a step-by-step sleep training plan or strategy – mainly because there are already so many great strategies out there that work well for our babies. Does full extinction (CIO) work for high need babies? Is it recommended? Are there any gentle, ‘no cry’ methods? What are the different methods that can work for high need babies? What does a typical sleep plan look like? Pros of the Sleep Training and High Need Babies eBook: Keep in mind that I wrote this eBook so I will try to answer these next two sections based on feedback I’ve received 🙂 Parents have told me that they were on the fence about sleep training and this book is what helped them make a decision they felt good about (many decided to sleep train, but others decided it wasn’t right for them!). Many parents worry about how their high need baby will respond to sleep training, and this book is meant to provide all the information you need to make a decision and to know what to expect. 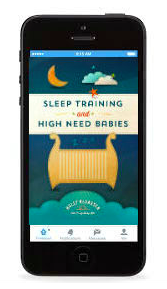 Cons of the Sleep Training and High Need Babies eBook: If you’re looking for a step-by-step sleep training plan for your high need baby, this isn’t the book for you. High need babies respond to many different methods, so there is no need to reinvent the wheel. If you already know a lot about the various sleep training methods and feel confident in your decision to sleep train, I also wouldn’t recommend this book. Money-back guarantee: Yes, within 30 days. I want to reiterate that sleep training isn’t necessary for everyone. If you have ways to help your child sleep and he or she (and you!) are functioning well, keep doing what you’re doing. However, in situations where the usual strategies aren’t working and no one is getting sleep – thank God sleep training is an option! There are a couple of other DIY sleep training programs on my radar that I haven’t yet tried. I plan to review them in the new year, so stay tuned! *Please note: This post contains affiliate links. This means I receive a small commission if you choose to make a purchase after clicking on one of the links above. Rest assured that I do NOT promote products or services I would not recommend to friends or family. Click here to read my full affiliate policy.